The organizational meeting that led to the founding of the Most Worshipful Mount Carmel Grand Lodge Ancient Free and Accepted Masons of Texas was held in a small basement room in the old Gregory Town School, now known as Blackshear Elementary School, on East 11th Street, Austin, Texas in November 1940. Bro. Isaac Craig, Sr. stressed to the group the need to form a Grand Lodge whereby the practice of Freemasonry would be perpetual. 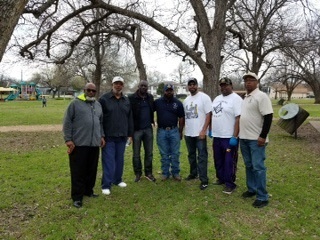 The group included Brothers John Lowery, Abe Haywood, and Blake Hunter Brother Mcquirter. After the inspiring and encouraging words of Brother Craig, the group agreed he should be the first Grand Master of Mount Carmel Grand Lodge. Years passed and the organization continued growth at a remarkable pace. A larger space was needed for a meeting place. The vision of Brother Craig Sr. prompted the Lodge to purchase the property on the corner of Chicon and East 13th Street where they held meetings for many years. In May 1955, the Grand Master of the universe summoned Brother Craig, Sr. to the Eternal City to receive his reward. Though saddened in heart but with determination to move on the greater heights, the Mt. Carmel Grand Lodge elevated Bro. Craig Jr. to Grand Master and then served his time, elected Bro. Timothy Johns to Grand Master and then served his time, appointed Bro. Ira Nesby pro tem until elections were held, and elected Bro. William Steele Grand Master. Bro Willie Hargis succeeded William Steele at his death. 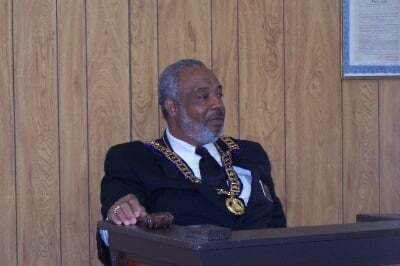 Bro Everette J. Finnin was appointed Grand Master pro tem until elections, and Alton L. Hardeman was elected Grand Master. Brother Johns worked diligently as Grand Master, seeking ways to keep building on the foundation that has been laid. He began and was successful in raising funds to build the Temple we now call home, completing it in July 1964. The good news was carried forth to Austin and surrounding communities and various cities throughout Texas. We are living in a Grand and awful time, unlike any time in the history of man. Modern technological advances make our living comfortable but the erosion of the morals of society makes our minds wary of the pursuits of the future. The Masons and Stars must continue to be united in purpose, for in unity there abides strength. We must tell the world, by our actions, that society must keep morals above reproach; the home must remain the most important segment of society; the church must provide spiritual guidance for all endeavors and the school must stress the importance of honor in all ways of life.